And so far let me introduce a Joana’s Mandala to you! I usually use many bright and contrasting colours for my mandala designs. But this time I wanted to go for something calm, plain and elegant maybe? I wanted this design not to appeal with colors but with clear lines and very obvious image. Joana’s Mandala pattern is available for purchase HERE on Ravelry HERE on Etsy and HERE on Loveknitting. 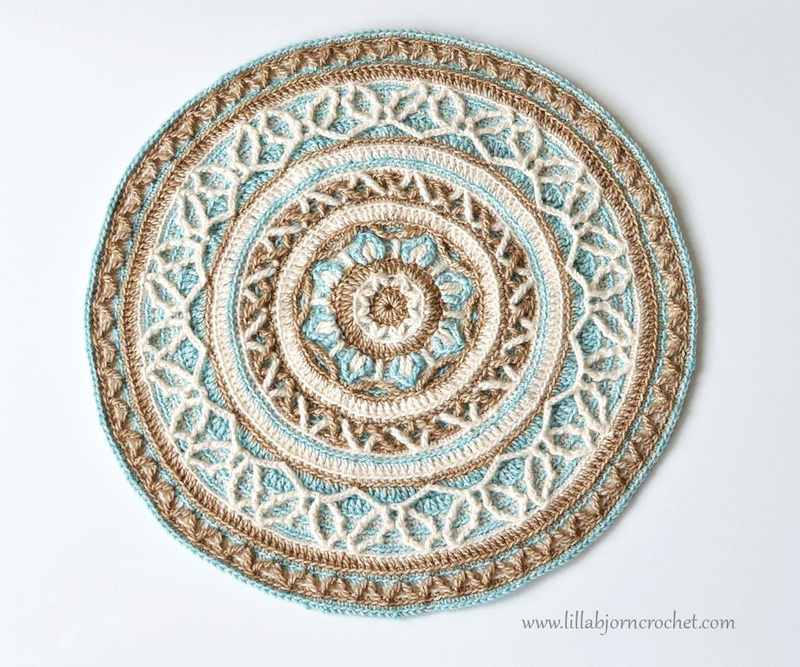 This mandala is designed in overlay crochet with lots of front post stitches. But it is not so stiff as many other projects made in this technique. This time I decided to use double crochet (US term) stitches instead of single crochet – for the background. And the mandala turned out to be soft and pliable. This mandala is made with blend cotton yarn Stone Washed* by Scheepjes (read my review about this yarn HERE) in shades Boulder Opal (804), Amazonite (813) and Moon Stone (801). As it is already told by the name of the yarn itself, it has a stone washed effect. The shades are not bold and solid, but they have a kind of antique look. And I am very satisfied with how this particular yarn worked for my new mandala. If you are in US you can check Stone Washed yarn at Paradise Fibers*. I used Clover Soft Touch* crochet hook 3.25 mm (D) and mandala turned out to be approx. 39 cm (15 ½ inches) in diameter. The difficulty level of this pattern is Intermediate because of front post stitches. Working with this pattern demands your attention and concentration. It is not difficult to follow (especially if you worked with overlay crochet before), but you need to read instructions carefully and count well. So that the stitch count on every round is correct. I enjoyed working with this mandala and hope you will also have lots of fun! 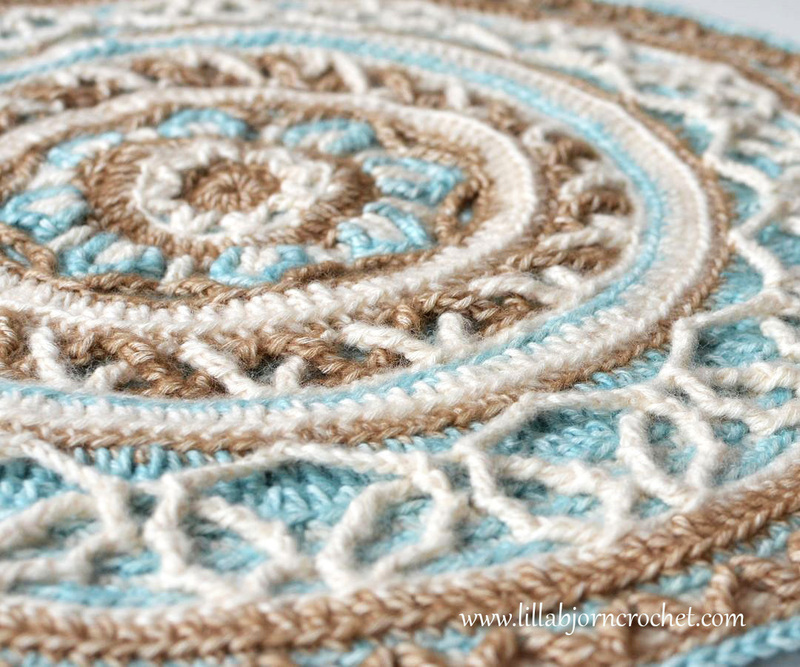 As other crochet mandalas this one can be used as a table decoration, appliqué for a pillow cover, stool cover, potholder and even a round pillow. 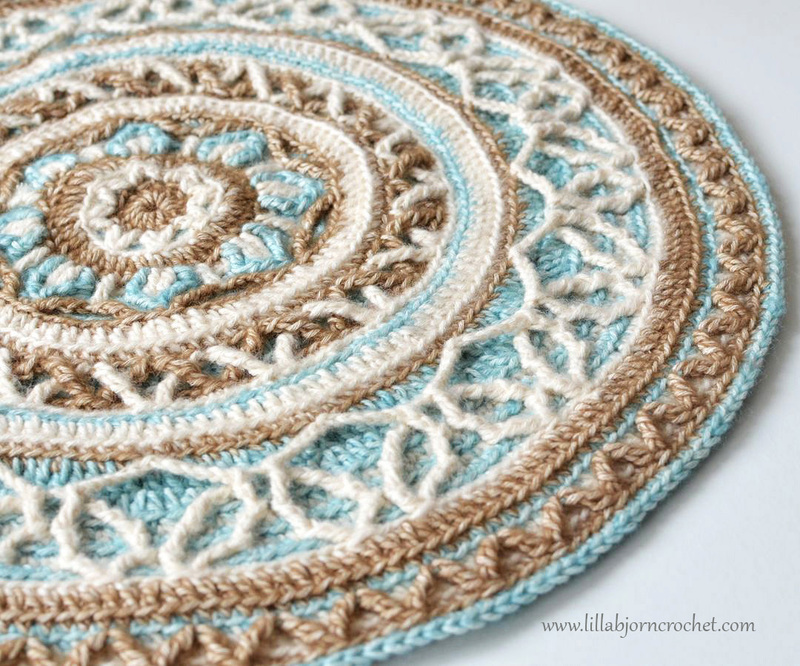 You can read about different ways to use crochet mandala in THIS post (don’t forget to read comments as well, as there are some great TIPs there). 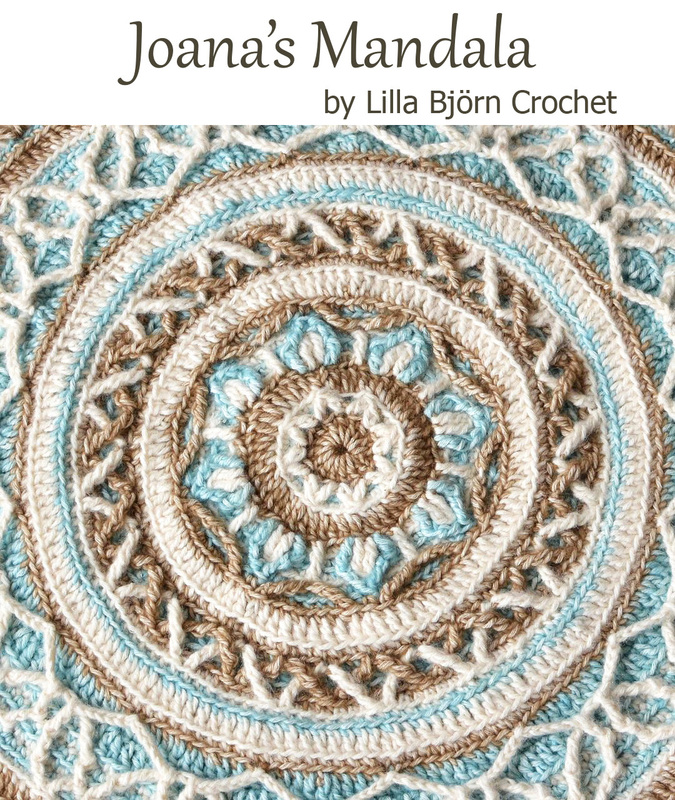 I have an idea to create a wide round border for this mandala to transform it into a rug (for meditation for example) or a medium sized throw for a chair or sofa… or even a baby blanket. It is just an idea so far, but I will be working on it :) So… to be continued. And yes! Almost forgot to tell that Joana's mandala has exactly the same stitch count on the last round as needed for Dandelion Border. So you can square it up with this pattern! A lovely piece of work. Well done!! it's beautiful, I love the soft colors, this is one of my favourite color combinations. I guess this one is my favourite combination as well. Beautiful ♡. I love the soft colors. Beautiful! I have one question. Shouldn't rnd 22 be worked through both lps? Written instruction says bl but pictures look like both lps.